This post is a collaboration with DSW on behalf of MODE. As always all opinions are my own. 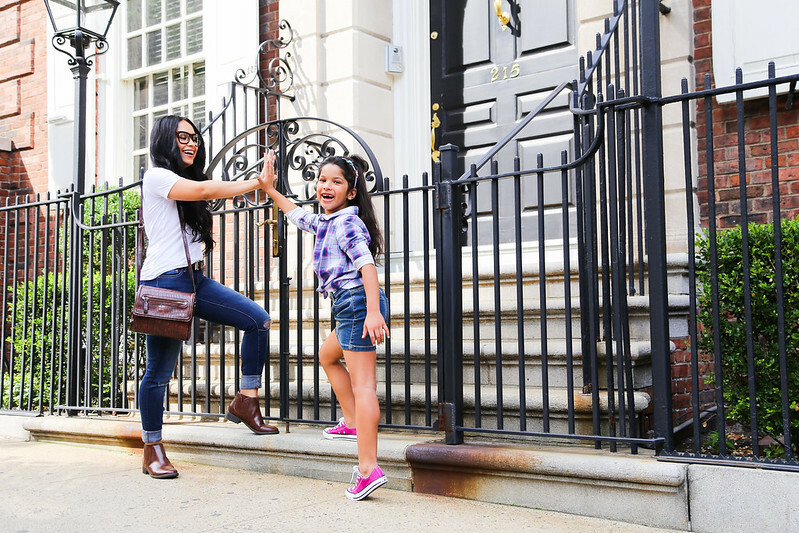 Thank you for supporting the brands and collaborations that make NYTrendyMoms possible! 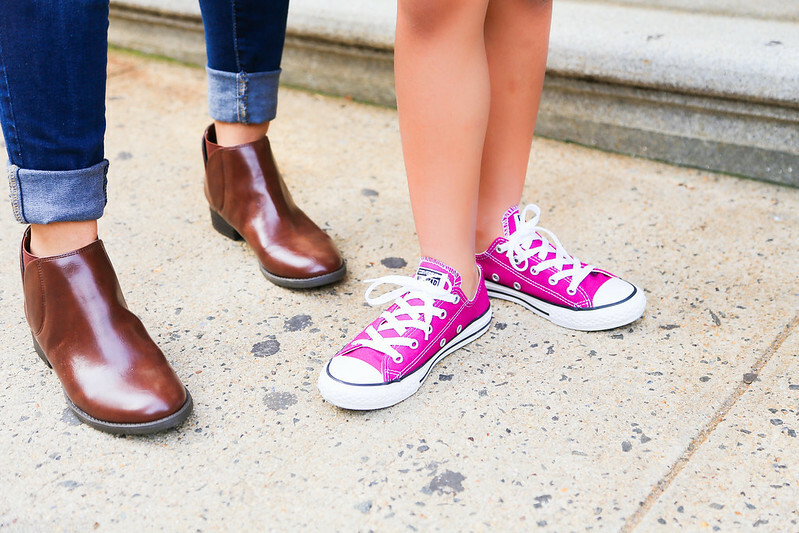 In today's post, I will be sharing how Zareena and I style these two DSW shoes for back-to-school. 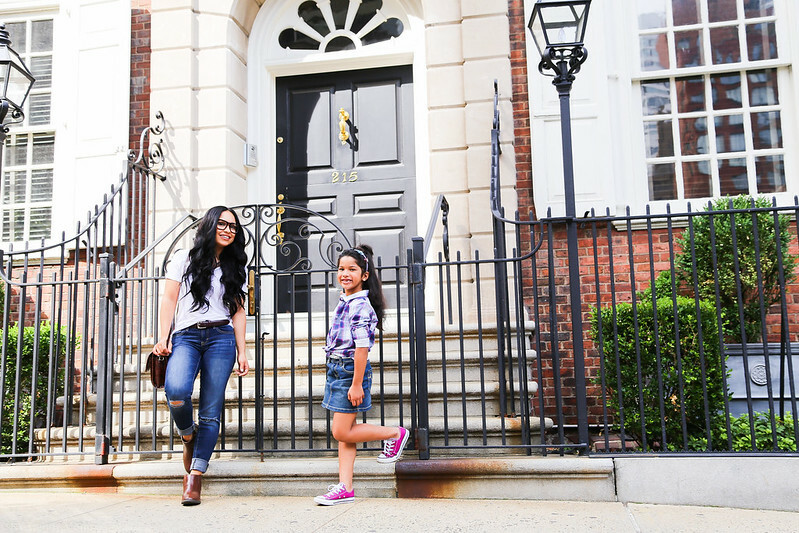 Styling back-to-school looks for kids is my favorite! There are so many options and fun styles to choose from. These fuchsia Converse are super fun for girls, as it adds a little personality to every outfit. My daughter will be wearing her school uniform to attend school, but on Friday's she gets to dress herself. I love this since this mean less dirty clothes on my hands and it also allows children to express themselves (a little more) one day of the week. 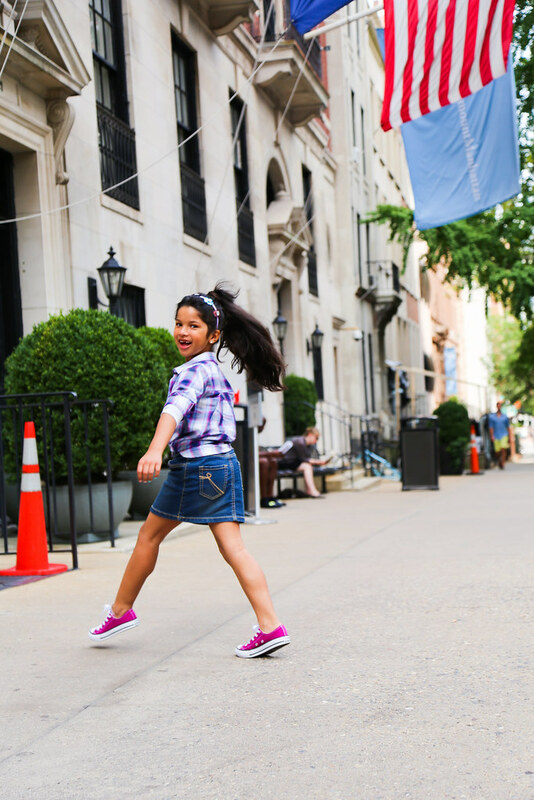 Jeans are beyond comfortable year-round, and especially for back-to-school! You can't go wrong by pairing your most favorite jeans with these Unisa Thayer Chelsea Boots. The color is so versatile and the heel is perfect for walking all day long or chasing after your kids (which I do quite often). a lot about you. Say something great. Such a cute style for back to school. Where is her outfit from?